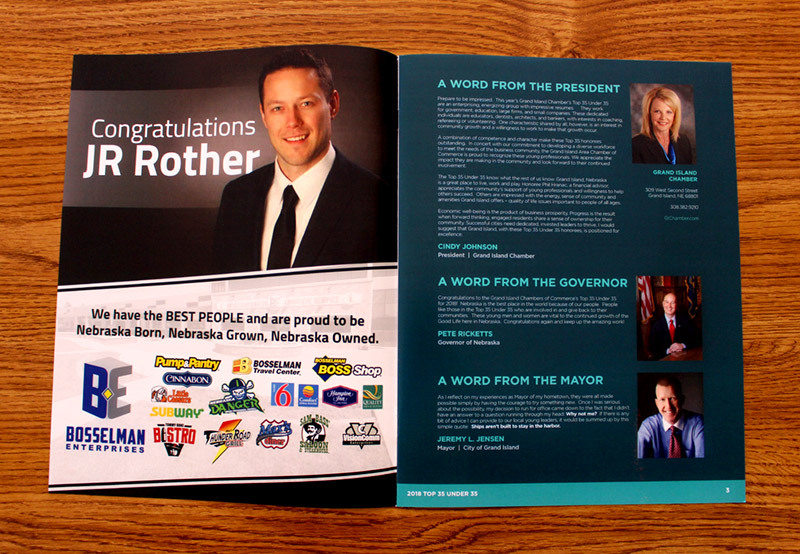 We recently created this sleek 20-page publication for the Grand Island Chamber of Commerce. 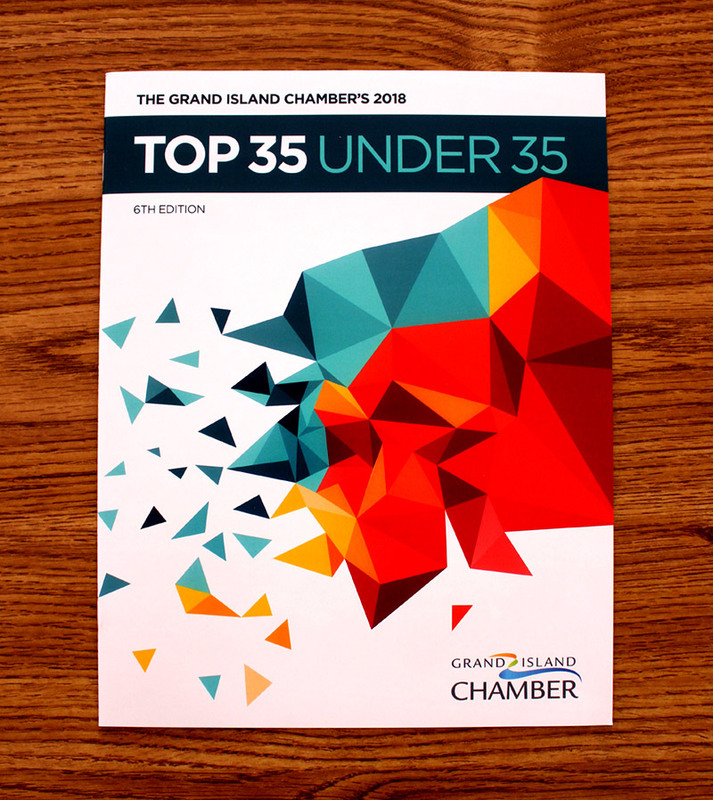 The publication features 35 of the top young professionals in the Grand Island community that are under 35 years old. They come from a variety of professions – education, healthcare, banking, law and marketing to name a few – and are actively involved members of the community. The Chamber wanted the publication to be vibrant, elegant and professional, echoing the qualities of the 35 chosen honorees and their professionalism and commitment to the community. The 35 honorees in this publication are a bright and dedicated group of individuals and needed a worthy publication to honor them in the Grand Island community. The design we created is very clean but also vibrant with lots of bright colors. We chose a bright geometric pattern for the cover page design that excites and creates movement, inviting the viewer to open it up. 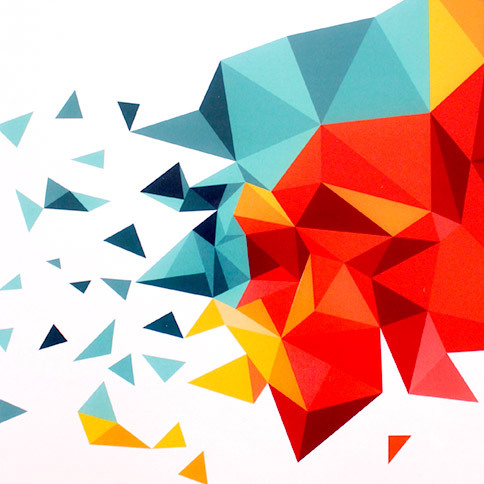 The geometric design gives us a nice color palette of blues, reds, and yellows to work with that are inviting and invigorating. The font choices used are strong, bold and modern, giving the piece a youthful and modern appearance. 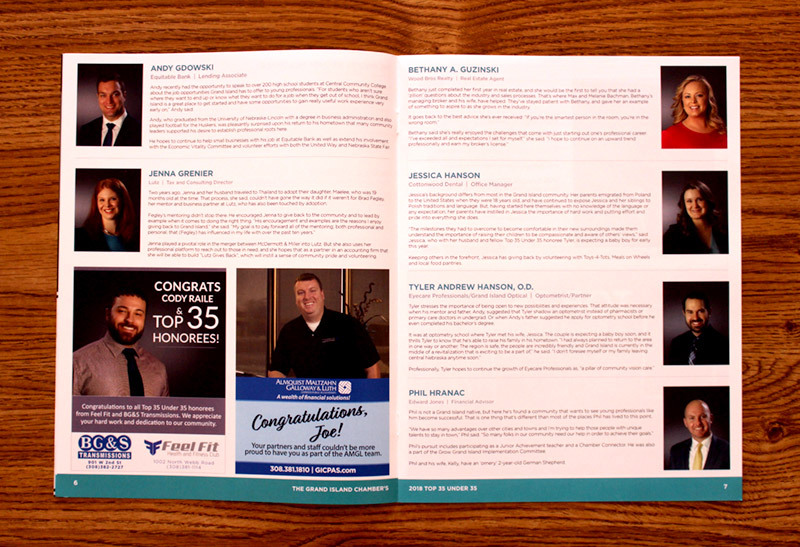 The 35 honorees each have a bio and a photo and there are ads sprinkled throughout from sponsors of the publication. We laid it out in a very methodical and organized fashion to keep it streamlined, easy to read and fun to look at. Overall, it’s a strong piece that honors these exemplary members of the Grand Island community well. What sets Snoack Studios apart is customer service. They will take your phone call. They will listen to your concerns. We must have asked for a dozen different revisions, but every single time Shannon delivered in a timely manner and always remained extremely courteous. She is awesome! Thank you Michael! We always enjoy working with the Chamber, and are very happy with how this project came out. If you are local in the Grand Island area, swing by the Chamber to pick up your own copy and see the whole publication. Let us know what you think in the comments below! Sign up for our monthly email newsletter and you'll receive our free PDF on "10 Essential Things Every Great Site Must Have." *We will never spam your inbox and your email will only be used for emails from Snoack Studios.